Managing Director, UBA Pensions, Bayo Yusuf (right); Head, Strategy, Sigma Pensions, Mrs. Adaora Ude; Chief Executive Officer, Dave Uduanu; Corporate Strategy Analyst, Ada Akonobi; and Head, Business Development East, Chukuma Amaonwu, during the Sigma Walk to Live exercise in Enugu. 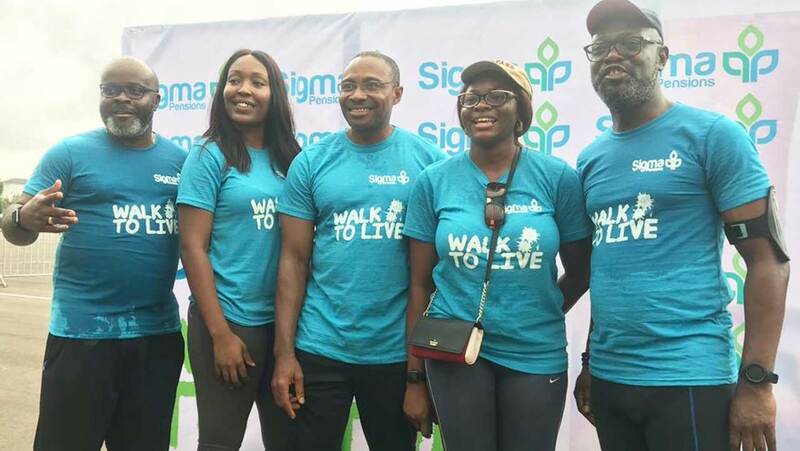 Sigma Pensions Limited has taken its ‘Walk to Live Campaign’ to major streets of Enugu with a view to encouraging healthy living amongst staff, customers and members of the larger society. The event which held over the weekend saw participants including pensioners march from Okpara Square, through Bisalla Road, down to New Haven Junction and back to the starting point. The Managing Director of the Pensions Fund Administrator (PFA),Dave Uduanu, said that the walk was aimed at promoting health among staff and their customers. Uduanu, explained that the event was also an attempt to promote awareness on the need for every Nigerian on the need to plan towards his or her retirement. 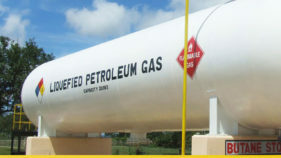 Uduanu said that the PFA was signing new customers in the state and that the response was massive. 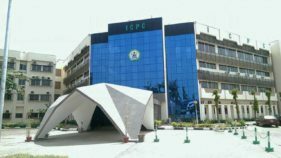 On the launch of a pension plan for the informal sector by the National Pensions Commission (PenCom), the managing director said that Sigma Pensions was well positioned to queue into it. A retiree and customer of the organisation, Mr Adesina Odunmbaku, said he was excited at such exercise organised by Sigma Pensions. Odunmbaku urged other PFAs to take a cue from the event with a view to ensuring healthy living among their members of staff and customers. “This is a novel idea which should be emulated by others. Sigma Pensions has good services and they give customers personal attention,” he said. 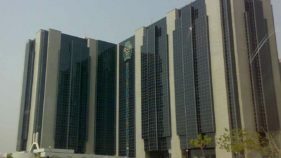 Odunmbaku said that the organisation was one of the best in pension funds administration. Another customer and staff of Bank of Agriculture (BOA), Mrs Ruth Kalu, said that she felt good to be part of the exercise. “I am impressed with what they are doing. They are simply the best,” Kalu said.